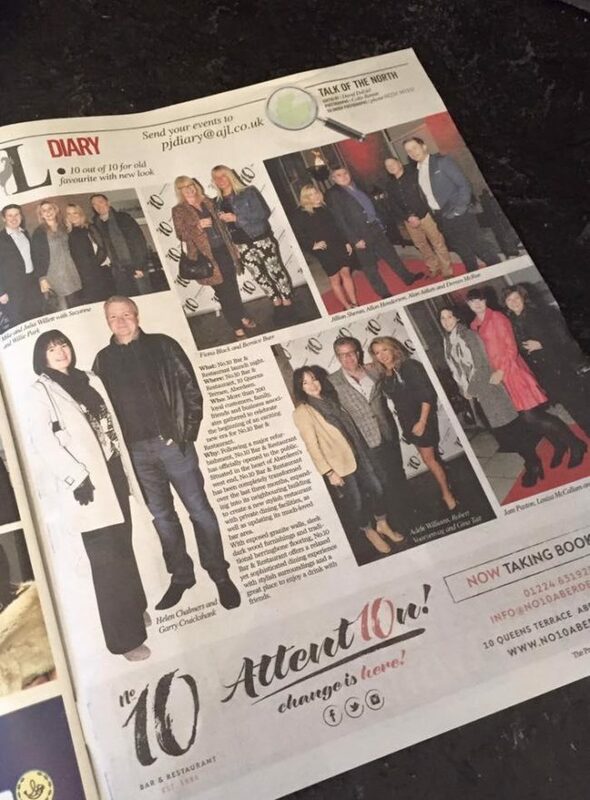 Our official launch party featured in The Press and Journal photo diary. More than 200 loyal customers, family, friends and business associates gathered to celebrate the beginning of an exciting new era for No.10 Bar & Restaurant. Read the full article here and view more photos from the night on our Facebook page. Copyright 2019 © No.10 Bar & Restaurant, Aberdeen. All rights reserved.